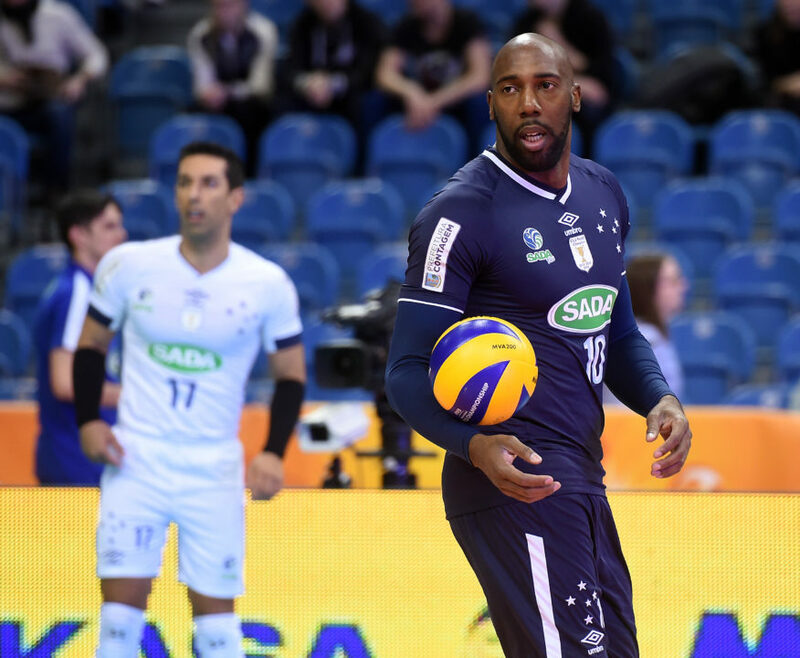 We reported back in March that Robertlandy Simon was going to stay in Brazil to finish out his contract with Sada Cruzeiro amidst rumors that Lube Civitanova was trying to sign him and Yoandry Leal. The contract runs through 2019 and there were even rumblings that he may try to gain Brazilian citizenship. Simon has won the Brazilian Superliga twice with Sada, the South American Club Championships twice, and the Club World Championships. The great deal of success coupled with the birth of his daughter makes Brazil seem to be the ideal place to set down roots. Leal did make his way to Lube, but it seemed imminent that Simon would remain to defend the Brazilian and South American championships. Just last week there was a report from a well-known Brazilian journalist, Bruno Voloch, that stated Lube offered Sada 100,000 USD to obtain the rights to Simon’s contract. This report also stated that Sada Cruzerio valued his contract at 400,000 USD, so the negotiations had stalled. With Simon’s contract expiring in 2019, Lube Civitanova could sign him for free next summer. While the issue seemed to be put to rest, Gian Luca Pasini of gazetta.it in Italy reported early Monday (June 18, 2018) morning that there had been confirmation of a deal being struck. Though this was published, there were not statements from either club to substantiate this claim. While it is evident that Lube and Simon are interested in a partnership, it is quite clear it will not be happening this year. Though Lube might not be ready for another foreign player in their lineup without some reorganization. As their roster stands, they already have Bruno Rezende, Yoandry Leal, Tsvetan Sokolov (depending on his recovery from his knee surgery), and Dragan Stankovic projected to start. Lube would not be able to start Simon, a Cuban, for domestic matches unless one of these mentioned players is on the bench.